November 17: What’s Your Process? Please join us Saturday, Nov. 17 at 10 a.m. at the Evendale Cultural Arts Center. This will be a member led meeting. Depending on the project, we all go through a thinking, planning, practice before beginning a piece. What is your process? If you have a project that you’ve done and would like to share about how it came to be, please bring it, and anything relevant to it’s creation. For example, I had to do a wedding invitation on paper provided to me. How did I get all the words set and proofed to begin the final lettering? Come to the meeting and find out. If you have a project that you would like to discuss, please let me or Karen know. If you have an in-progress work that you’d like to discuss, feel free to bring that too. 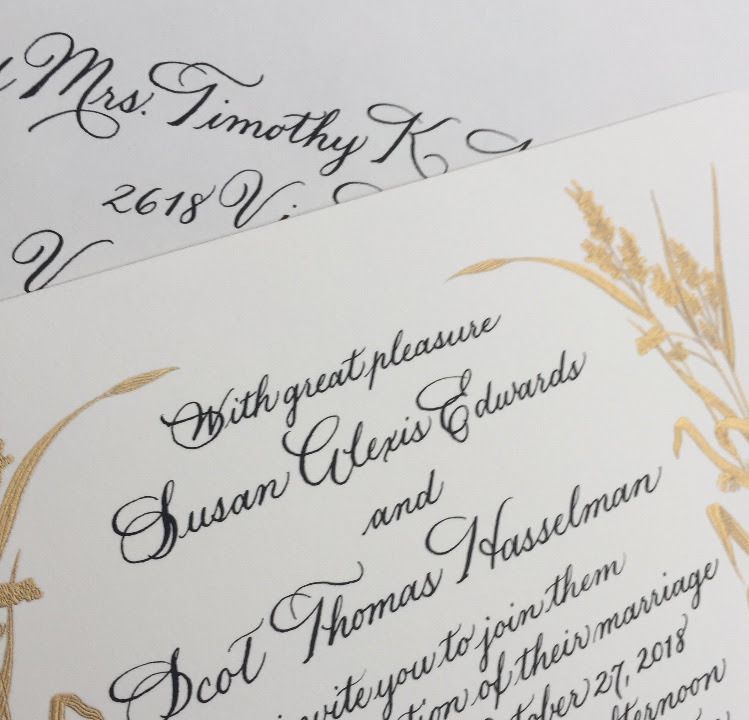 The Greater Cincinnati Calligrapher‘s Guild is open to anyone with an interest in the lettering arts. All meetings are held at 10 a.m. on the lower level of the Evendale Cultural Arts Center, 10500 Reading Rd, Cincinnati, OH 45241, unless otherwise noted. Please note: Entrance into the Center is only accessible by going north on Reading Rd.